According to the Government of Canada, falls are the leading cause of injury among older Canadians. In fact, 20 to 30 percent of seniors experience one or more falls each year. The Canada.ca website also reveals that falls cause 85 percent of seniors’ injury-related hospitalizations and 95 percent of all hip fractures. Falls also cost Canadians $2 billion a year in direct healthcare costs. Evidently, falls among our elderly present a huge problem. It is clear that more needs to be done to prevent senior citizens from falling as the chances of them seriously hurting themselves is very high. However, so many seniors experience mobility issues that are the causes of their falls. So what are the best ways to help prevent injuries based on senior mobility issues? Help them to maintain active lifestyles. The senior citizen in your life may love nothing more than spending the day in front of the television. If your elderly loved one prefers rest and relaxation over physical activity, he/she truly isn’t doing his/her body any favours. 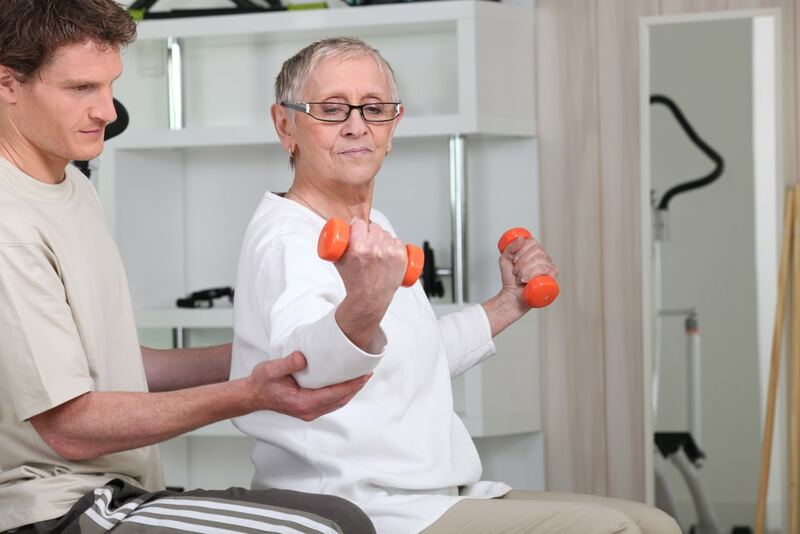 It’s important to engage older people in regular exercise programs to strengthen their muscles and improve their flexibility. As ComfortKeepers.ca points out, this can help them to avoid potential falls. The site goes on to promote the maintenance of a healthy weight through healthy eating. “It’s simply easier to get around without carrying extra weight, and there is less stress on bones and joints,” the website notes. Be sure to encourage the eating of fruits and vegetables over high-salt and high-sugar foods. Eliminate tripping hazards from the home. Do you have throw rugs in any of your living areas? Are there loose wires jutting out from behind your electronic equipment? Are there clothes, shoes or other items left strewn on your staircases? If you’ve answered “yes” to any of these questions, it’s time for a major clean up. Be sure to clear all walking areas of any obstacles and tripping hazards to help keep the seniors in your home upright. Have them avoid the stairs. At Advantage Home Health Solutions, we highly recommend stair lifts to ensure that elderly individuals never experience any life-altering falls on the stairs. Stair lifts can be made to work with straight or curved staircases and can be adapted to suit the specific needs of their users. For more information about the stair lifts offered by Advantage Home Health Solutions, please don’t hesitate to give us a call at 403-460-5438. You may also email us by filling out the form on our Contact page!